Complete Cold Air Intake system shown here with Heat shield. 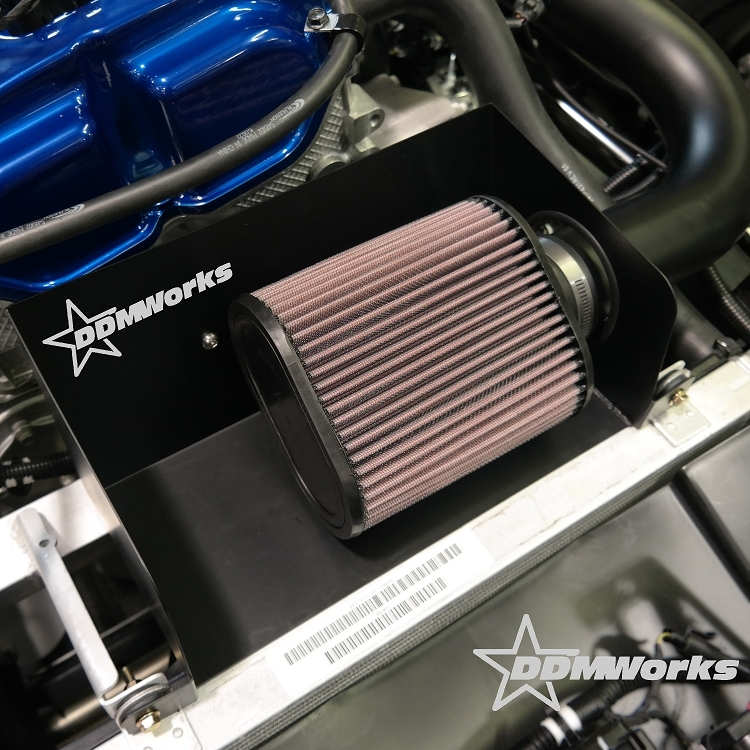 The DDMWorks Cold Air intake for the Polaris Slingshot offers great performance at a great price. The kit consists of a CNC mandrel bent aluminum intake tube designed exclusively for the Polaris Slingshot with the 2.4L engine. 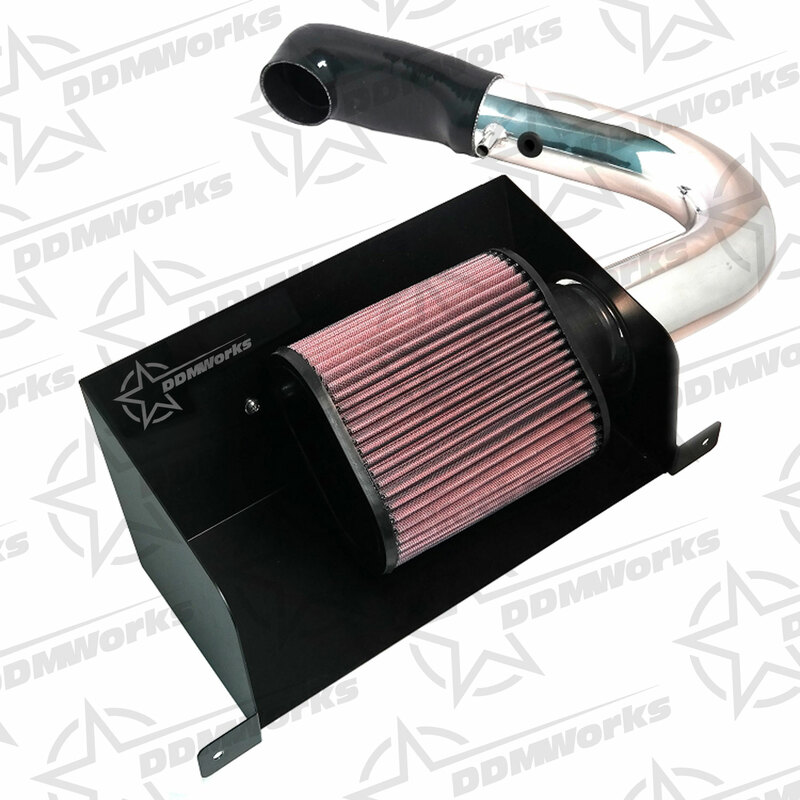 The entire stock factory air filter assembly is removed and replaced entirely by the DDMWorks cold air intake. 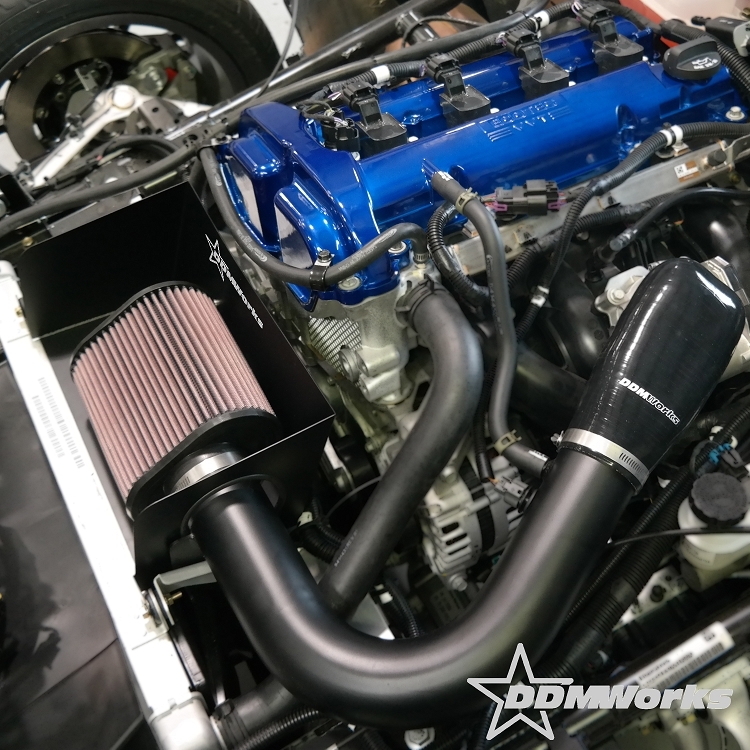 The DDMworks cold air intake uses a customdesigned silicone coupler created and designed using the latest CAD simulations to funnel air directly into the throttle body of the engine. The kit also uses athe highest quality, genuine K&N filter. 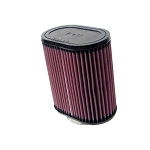 The K&N filter has one of the smallest pressure drops across the filter with good filtering to keep air flowing easily into the engine. 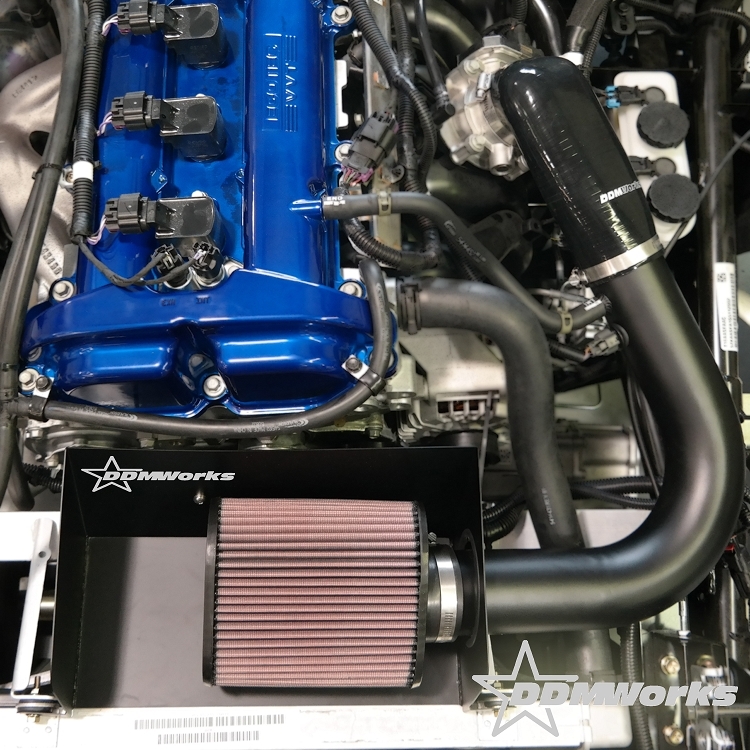 The intake tube comes standard with a polished aluminum finish that looks great in the engine bay, heat shield is finished in a smooth satin black powder coat finish that is durable and will look great for years to come. Custom powder coat options are also available for the tube and heat shield, leaving the options up to you for whatever you can dream up. 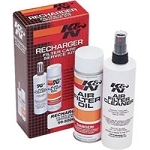 The air filter can be used for up to 100,000 miles before needing to be replaced and is cleaned easily during its service life with a standard K&N cleaning kit available at most auto part stores around the country. 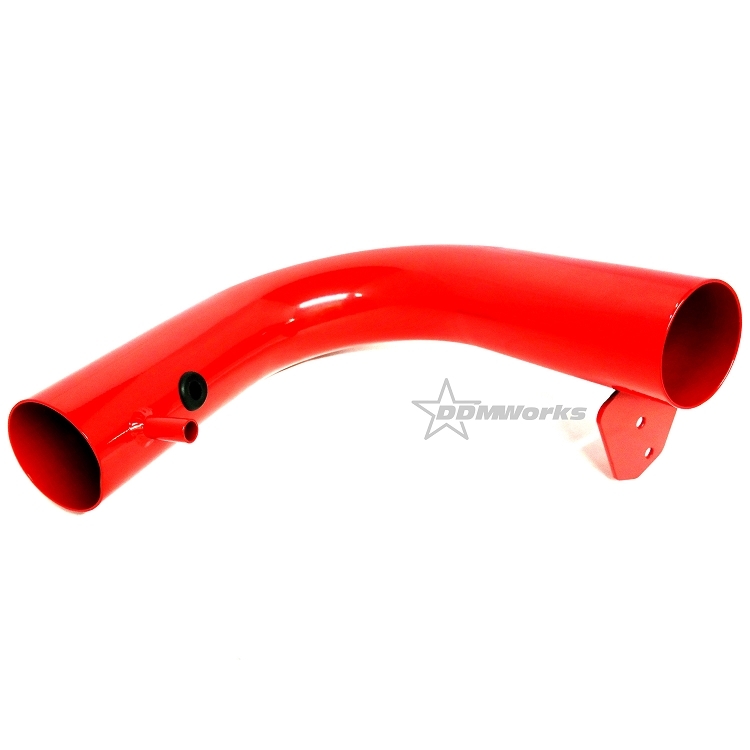 The cold air intake is also a relatively easy install, usually requiring less than 60 minutes to complete the entire job. No soldering or cutting of any wiring is needed and the tools needed for the install are standard tools found in most tool boxes. Q: what is the K & N replacement air filter number. And I hate to be so dumb, but what keeps the filter from getting wet when driving in the rain? it is exposed to the moisture and even if it can't penetrate the filter it would seem to make a barrier to restrict air flow. thank you. oh, and what diameter is the intake? A: Not a dumb question and happy to answer. The filter will absorb some moisture while driving in rain but in acceptable amounts. If the filter were completely submerged in water you would have the potential for engine damage or failure but driving or being parked in the rain are perfectly safe! Below is a link to the replacement filter, this link will have the part number along with it's dimensions.